Kelly Hainsworth retains ownership and all rights to kellyhainsworth.com including the name, the logo, articles, videos, podcasts, blogs, treatment forms and worksheets. 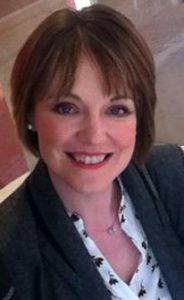 In addition, Kelly Hainsworth is the owner of Love Reflexology which covers the community on Facebook, Twitter, Instagram and Pinterest, the Love Reflexology Business Directory, its logo, images produced for it, podcasts, videos and articles. 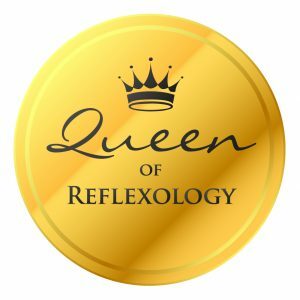 The Love Reflexology brand was established in August 2017 and is owned by Kelly Hainsworth. All content produced for kellyhainsworth.com by Kelly Hainsworth is subject to Copyright Protection. Content produced by other sources will be credited to the author of it. Use of this website is governed by and construed in accordance with the laws of England and Wales and any disputes will be decided only by the Courts of England and Wales. Permission is not granted by Kelly Hainsworth to photocopy, reproduce the page, videos, blogs, podcasts, articles and worksheets by handwriting, typing, scanning into a computer, screen grabbing on a mobile device or taking photographs of the content. Information and materials accessed on the Kelly Hainsworth Business Support Members Area is only to be used by the user who purchased access to this section of the site. Information and materials accessed must not be reproduced, resold or distributed to any other practitioners, student practitioners, reflexology associations, reflexology schools or any third party. Materials accessed in the Kelly Hainsworth Business Support Members Area or on any part of kellyhainsworth.com must not be rented or loaned to any third party including and not exclusive to other practitioners, student practitioners, reflexology associations and reflexology schools. Materials accessed in the Kelly Hainsworth Business Support Members Area or on any area of kellyhainsworth.com must not be adapted either in written, video or audio form, translated into a different language, computer program or code. Kelly Hainsworth must be recognised as the author of the videos, podcasts, blogs, worksheets, articles and must receive the right to attribution. Kelly Hainsworth is not liable for any loss or damage that may occur from using kellyhainsworth.com. intangible property including loss, corruption or damage to data or any computer system, wasted management or office time. Kelly Hainsworth makes every effort to check and test kellyhainsworth.com for viruses. You must make sure the way you use this website does not expose you to the risk of viruses, malicious computer code or other forms of interference which may damage your computer system. When using kellyhainsworth.com you must not introduce viruses, trojans, worms, logic bombs or other material that is malicious or technologically harmful. As a user of kellyhainsworth.com you must not try to gain unauthorised access to the site. Such attempts will be reported to the relevant authorities. Please check the terms and conditions on kellyhainsworth.com regularly. Kelly Hainsworth may update them at any time and without notice. If you continue to use kellyhainsworth.com, you agree to any changes in the term and conditions when they are updated. Occasionally there may be information on this site that contains typographical errors, inaccuracies or omissions that may relate to product descriptions, pricing, promotions, offers, product shipping charges, external links and availability. Kelly Hainsworth reserves the right to correct any errors, inaccuracies or omissions, and to change or update information or cancel orders if any information is inaccurate at any time without prior notice (including after you have submitted any orders, emails or enquiries). In addition to other prohibitions as set forth in the Terms of Service, you are prohibited from using the site or its content: (a) for any unlawful purpose; (b) to solicit others to perform or participate in any unlawful acts; (c) to violate any international, federal, provincial or state regulations, rules, laws, or local ordinances; (d) to infringe upon or violate our intellectual property rights or the intellectual property rights of others; (e) to harass, abuse, insult, harm, defame, slander, disparage, intimidate, or discriminate based on gender, sexual orientation, religion, ethnicity, race, age, national origin, or disability; (f) to submit false or misleading information; (g) to upload or transmit viruses or any other type of malicious code that will or may be used in any way that will affect the functionality or operation of this site or of any related website, other websites, or the Internet; (h) to collect or track the personal information of others; (i) to spam, phish, pharm, pretext, spider, crawl, or scrape; (j) for any obscene or immoral purpose; or (k) to interfere with or circumvent the security features of this or any related website, other websites, or the Internet. Kelly Hainsworth reserves the right to terminate your use of this site or any related website for violating any of the prohibited uses. These terms and conditions were created on 14 April 2019.